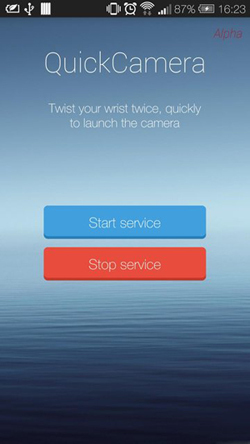 The Moto X phone allows you to quickly open up the camera with a swift flick of your wrist. Very cool and secret agent-y, right? Well now the QuickCamera app brings this slick feature to any handset running Android 4.0 or above. The app gives you complete control of how sensitive the wrist flick of your camera activation is – a handy feature so you don’t end up taking hundreds of pocket shots. According to Lifehacker, the app is still in alpha so you’ll need to join the QuickCamera Google+ community to get your hands on it.